• ‘The Oaks’, situated near the Church and Rectory, was originally owned by Admiral Sir John Harvey (1772-1837). From1843-45, the writer, G.P.R. James, rented the house and grounds from his widow. • 1899, a Mr. & Mrs. Messiter leased the property for 15 years and ran a “Young Ladies Educational Establishment” for about a decade. • Tormore School “for young gentleman” was founded about 1907 by Mr.D.P.MacDonald, whose links with Skye and Clan Donald inspired the school name, crest and motto:”Per mare, per terras”. 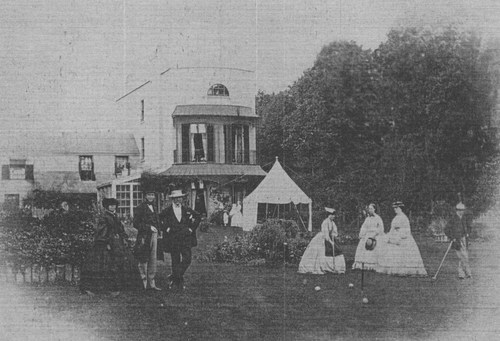 • 1913 Tormore School moved from premises in Westgate-on-Sea to ‘The Oaks’ in Upper Deal. Evacuation was soon to follow during World War One. • 1919 The School returned to Deal and Mr.F.G.Turner, following Army service, was to remain head-master until 1955. • 1940 With World War Two came another evacuation. This time to ‘The Vyne’ in Basingstoke, the home of Sir C.L.Chute, a former army comrade of Mr.Turner. • 1946 Once more in Upper Deal, the School expanded in numbers and into other rented property in Manor Road. • 1955 Mr.Turner retired, to be succeeded by Mr.P.Spurrier. • The 1970s saw the closure of many of the private day and boarding schools in the area (at one time in excess of 20). • 1979 The amalgamation of Betteshanger School and Tormore School is announced. In April 1980,Northbourne Park School opens as a private, co-educational school for pupils of junior age. • 1993 Tormore House was by now in such a bad state that it had to be demolished, even though it was both in a Conservation Area and Grade 2 Listed. The replica of this earlier Regency House still retains listed status!